It is difficult to become a writer, no matter what kind of writer you want to be. However, now you can use someone else's experience to make your life easier. The LinkedIn website provides accommodation for a variety of groups - including those that are relevant to writing. These groups give writers an opportunity to appeal to people in the publishing industry directly. If you do not know where to start, use these groups. They will help you to get valuable feedback and constructive critique about your writing. Various specialists will help you understand how the publishing business works and how to start a career as a writer. These groups are full of people who are related to the publishing industry. They are editors, publishers, agents, journalists and other writers. They are all here to help others by answering and asking questions. These people can help you with editing and publishing as well as improve your writing skills. Here is a list of seven useful LinkedIn groups for writers. It cannot be said that any one of them is better than the rest. If you are looking for any specific information, it is possible that you will be able to find it in one of these groups. 1. Authors, Writers, Publishers, Editors, & Writing Professionals. If you want to learn more about publishing and how this industry works, then you should check this group out. Remember that this group discusses topics related to the publishing industry but is not meant to advertise your book. This place can't help you to find yourself a literary agent or to sign a contract with the publishing house. However, you can find a lot of interesting discussions and facts there that will help you understand how everything works and what you need to do to be published. This is one of the largest LinkedIn groups for writers, proofreaders, editors and all people who are related to writing. It contains many discussions about different topics. 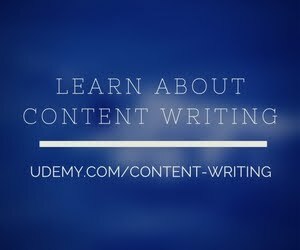 The purpose of this group is to be the perfect place for all kinds of writers on LinkedIn. In this group, they can share their advice and wisdom. There are several subgroups in it too, each dedicated to a certain specialty. It makes it easier to find all the necessary information. If you have a ready-made writing that you want to sell or show to publishers or to other authors, you should check out this group. It can provide some help for those who are looking for a way to improve their work for publication and promote their work as a writer. This group is focused on helping writers get feedback on their writing through discussions with various specialists. It is a great place to meet different people who work in creative industries and get tips for improving your writing. You can also share your professional opinion or give someone an advice there. 5. Creative Designers and Writers. The goal of this group is to unite various professionals, such as designers, artists, game developers, and writers. Due to the fact that all specialists have different approaches to the same things, you can get many extraordinary and really valuable opinions. This group discusses important issues related to writing, starting with news about the latest innovations among technologies and ending with constructive critique and writing tips on how to get over writer's block. 6. Book Writing, Self Publishing, and Marketing for Business People. This group was created for people who want to get help and advice from the others who have already achieved success in the writing industry and publishing. For example, you can find some tips on traditional and self-published publications there. This is the place where you can receive advice from your colleagues and discuss topics that interest you. Well-known writers often visit this group to share their experience. Also, you can find editors, agents, and other people who are related to the publishing business there, which makes it an excellent place for research and self-improvement.It is impossible to make a career as a writer if you only know how to write well. Without certain knowledge about how the publishing business works, you will be defenseless. Most likely you will not be able to promote your work and the publishers will never notice it. That's why it's so important to contact other writers and people in the publishing industry to find out everything you need. The LinkedIn website can help you with this, so why should you turn away the opportunity to find some good and free help? The answers to all your questions regarding writing are waiting for you there. But before plunging into so much information, you have to remember one thing. The purpose of LinkedIn groups is to find valuable advice for you personally in a huge flow of information. You can try to absorb everything, but then you are unlikely to be able to deal with such a large amount of information. Eventually, you will forget at least half of it. You need to understand what exactly you are looking for. It can be an answer to a specific question or topic. For example, if you need to write a comparison and contrast essay, first of all, you should go and read about different types of essay. When you understand all the specifics of this type of essay, you can move on finding writing tips or focus on a research of the topic, and so on. Bio: Christina Battons is a creative writer and content strategist from LA. I am a graduate of the University of Southern California. Currently, I write for various sites. I am interested in topics about education, writing, professional development, etc. My writing I use as a tool to further the education of others. You can connect with me through Twitter or Facebook. I’ll be happy to hear you, just drop me a line!